Fergus and Zeke love being the class pets in Miss Maxwell’s classroom, and they do everything the students do — listening at storytime, painting masterpieces during art class, and keeping their own special journals. But when it’s time for the school science fair, the mice aren’t sure just how to get involved. 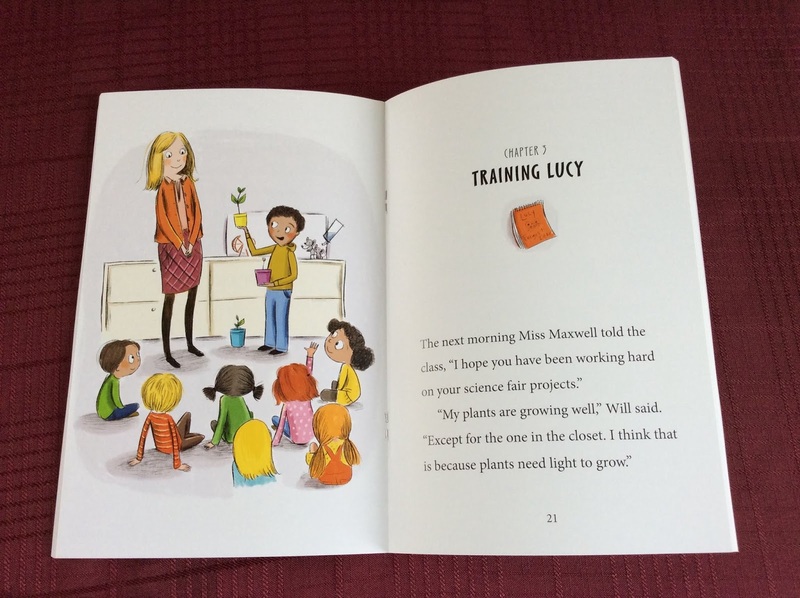 Lucy wants to time them as they run through a maze, but they want to do an experiment, not be an experiment. Then Zeke comes up with a great idea: since Lucy is training animals for her experiment, maybe he and Fergus can do the same thing! Unfortunately, the only animals available are the students themselves. Can Fergus and Zeke turn the tables and train Lucy in time for the science fair? Don’t forget to check out the first book in the series, Fergus and Zeke. 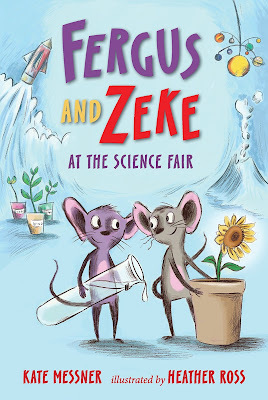 A book for early readers, Fergus and Zeke at the Science Fair tells of two mice named, well, Fergus and Zeke. They are classroom pets and get excited when they learn the class is doing a science fair. They want to participate too, especially after hearing what each student plans on doing. One of the girl students decides her fair project is going to involve the mice. Fergus and Zeke go along with it for a while, then decide to turn the tables and make it into an experiment of their own. 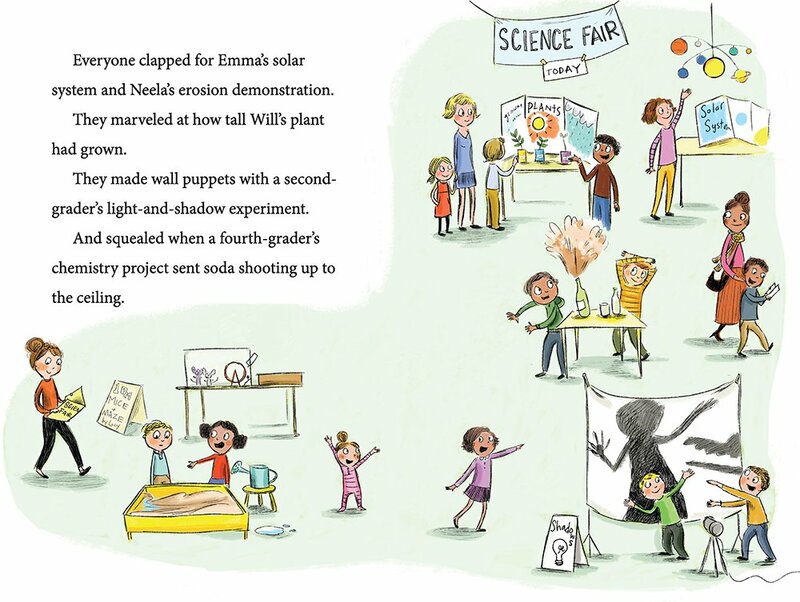 This book is a lighthearted story that brings science to light. 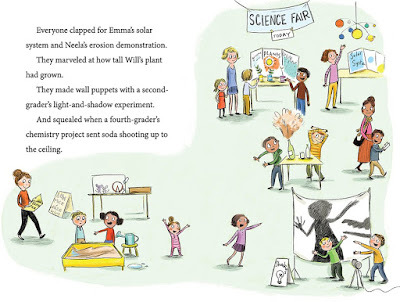 Readers are briefly introduced to science fairs and what they might entail. I like how Fergus and Zeke decide their project will be to "train" a child, and what they do to make that happen. It's a cute story about science, with silly mice added to the mix. One person will win a Fergus and Zeke at the Science Fair children's book. I did participate in the Science fair when I was a kid! My kids are now homeschooled, but I can't wait until they get old enough so we can have our own. :) It sounds fun! "Leave a comment on this blog post with whether or not you ever participated in a science fair." The book has such charming illustrations! I never participated in a science fair, but I once made a shoebox-diorama for science class. I can't remember what the topic was. Yes, a long time ago I participated in the science fair. I never did personally, but my son participated several times over the years. I have participated in science fairs and unless my kids have a lab science they are required every year to do one until high school unfortunately. I don't remember ever participating in a science fair. I did and my boys did every year. No I never did. Love science though! If i did I can't remember ever competing in one. I did participate in a Science Fair. It was REQUIRED otherwise, I would not have. I have participated in several. I have never participated in a science fair. Would have been interesting though. I never did in school, but both of my boys have, since Kindergarten. It's a lot of work for sure! Yes, when I was in Junior High I did. I personally never was in a science fair. But my daughter participated a few years back when she was in middle school. She did an experiment with using a certain plant in testtubes to record how fast & how well it absorbed various oils. It was pretty intense and a lot of work. I sort of hope my niece never has to go through that...I know she'd enjoy this book, thougn. I never participated in a science fair but i am hopeful that my kids do! I did when I was a kid. I've participated in a couple different science fairs. My school never did science fairs so I have have not participated in one. Yes, I have participated in a Science Fair.